Raccoon removal is not a do-it-yourself job in Greenwood, Indiana. It is a job for our responsible and highly trained professional raccoon removal team. We are highly qualified and insured, and have helped out thousands of property owners over the past twenty years we’ve been in business. Call us for raccoon removal services today at 317-535-4605. Raccoons in the attic in Greenwood, IN can be a serious issue for property owners. 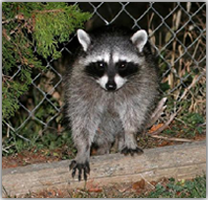 Raccoons can tear up the structure of your building or home, and soil the areas they nest in. 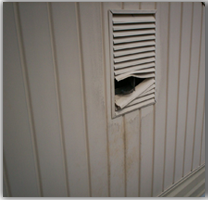 Raccoon damage is an issue we have handled hundreds of times. 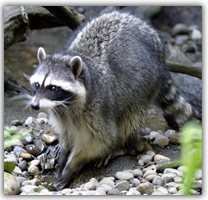 We can repair and clean up after raccoons in your home or business and implement strategies to prevent them from returning again in the future. 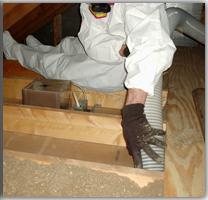 Call us today at 317-535-4605 to get rid of raccoons in the attic in Greenwood, IN.